I saw the pin on Pinterest a couple of years ago. I kept meaning to try it, but didn't really think it would work. A rose shape from the cut end of a bunch of celery? So yesterday the planets aligned, and not only did I have a bunch of celery, but I had a freshly inked black stamp pad, and some butchers paper, all ready to go. Some came out darker than others, but with a practiced hand, I think you could get them nicely faded or dark and bold, depending upon your preference. I actually quite like the effect of a bit of both. You could also get really pernickety (yes that's a word...I think), and do rows of roses or just one on top or whatever you like. What looks like rustic twine, isn't. It's a sliver of latte` coloured stretch knit from some leftover yardage used for Wolf costumes for my daughters Dance Troupe. I just cut a thin sliver, ensuring I was getting the stretch along the length, and tied the ends together so it was like a gigantic elastic band, which I then wrapped around the gift randomly. I added a bit of ballet pink glitter along one strand because life's not right around here without a bit of glitter says The Diva and I. I think I'll skip the glitter next time though. I like the rustic look of it without. The rose, which I think is a perfect match, came from feather.com.au when they were having a sale. I was buying 15 silk flowers (no choices...just get what you're given) for $2. That's not 'each'. That's $2 for 15. Many were squashed flat, so I employed a method my Mum taught me back in the 70's. Here's a satin and lace one that I did as well...different style altogether, but it still worked. This one will look lush with the same paper and black satin ribbon I think. 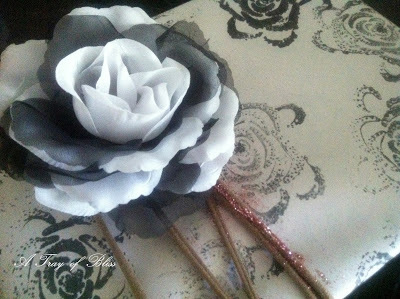 Remember these are full sized accessory style roses, with the pin and hairclip attached, so at -13c for a gift as a topper on a gift, they were an absolute steal! 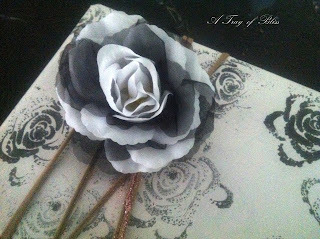 I'm gifting 'present wrapping packs' of hand scribed or stamped paper, the stretchy twine, and some silk roses, to friends as a pre-Christmas pressie so they can create their own pretty gifts. I've done it before and found it was received with enthusiasm. It's something nobody thinks of, but if you have friends who are busy and lacking the time to be creative, it's a great idea. Check out the feathers.com.au website. They ship internationally and they have some great bargains. No they're not paying me....lol! Seriously, a rose from celery! Whoever thought this has a creative mind. Thanks for proving it works, Mimi. The results are fabulous, Mimi! I really love the effect of dark and faded, it looks really impressive. Dear Mimi... ok I have seen on pinterest the celery... but I havent tried it. It looks gorgeous! 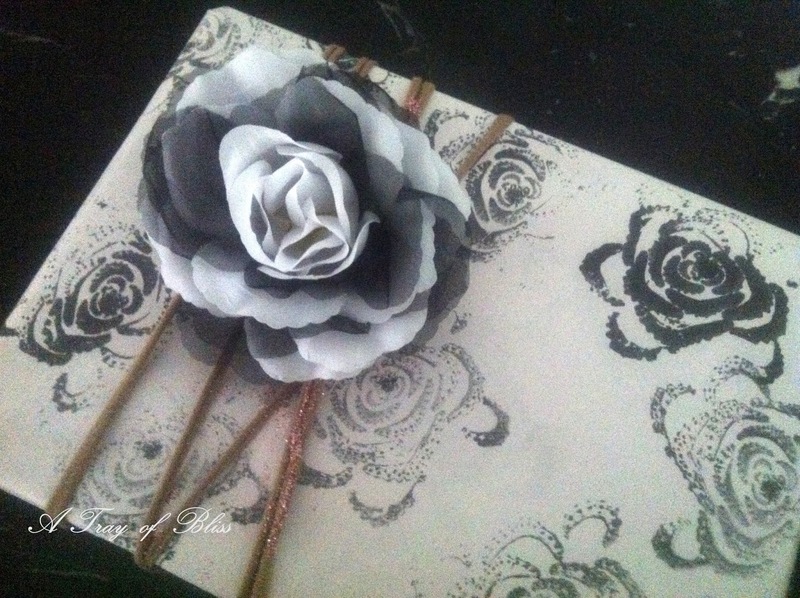 Way cheaper than buying a rose stamp ($30 saved there) and the effect is just lovely. I will be doing this! How pretty. 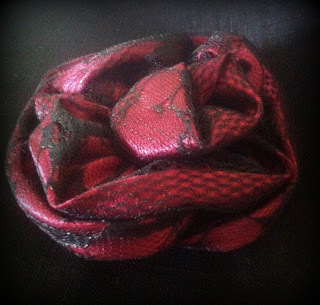 I have a thing for fabric roses. They are beautiful. This is a great way to revive them. Home dry cleaning sort of! I love the way your wrapping came out! So elegant!!! :) Time to get over my prejudice with celery! I finally got around to the celery rose stamping with my daughter earlier in the year. We had a box of 500 brown Kraft paper envelopes that we bought at the op shop for $5 and transformed them into beautiful stationery with a celery stump. You get nicer roses if you cut a bit further up, rather than right down near the stump. Yes I too love this idea to use celery as a stamper! What pretty wrapping paper. Thanks for sharing this at Cooking and Crafting with J&J! Your celery roses turned out very pretty on the gift paper. Seems I saw this before and forgot abut it. So glad you tried it and it worked so well for you. The paper really does look wonderful! Steaming your squashed roses is a great idea too. Thank you for joining me and sharing these lovely tips with us. Have a splendid week, Mimi! I had heard of roses from celery but have never tried it. Thanks for the inspiration. Hello Mimi, welcome to the neutrals party :) Your celery stamping came out great! I had seen it on pinterest as well and like you, want to give it a try. I love the effect it gives and love that some are more faded than others. It makes for a lively mix. 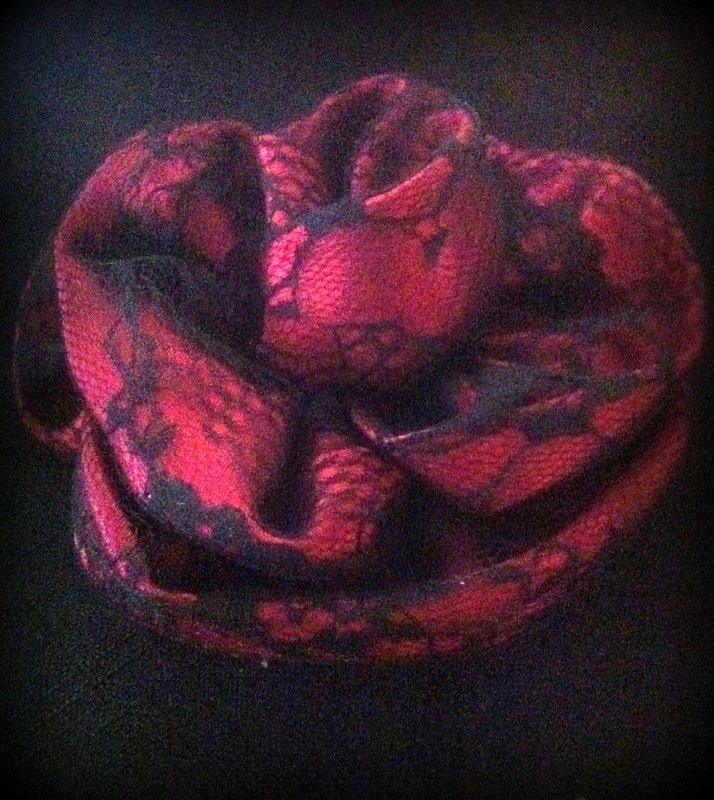 The gorgeous silk rose is a beautiful addition. As is the "twine". Such a great trick with the steam, must remember that one! Thank you so much for joining the party and for your sweet comments, Mimi! Sending you sunny smiles! your gift paper turned out beautiful. So very elegant. Hi Mimi, Thanks for the steaming tip! Your celery roses are gorgeous. Welcome to Simply Neutrals. Five Star Frou-Frou #29....Happy Thanksgiving!